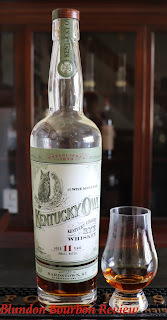 The Kentucky Owl brand dates back to 1880 and the C.M Dedmon Distillery. Charles M. Dedman produced Kentucky Owl Bourbon before closing to Prohibition in 1919. In 2014, Dixon Dedman (great great grandson of Charles), reclaimed the brand as a Non Distiller Producer. Dixon sourced and bottled bourbon to be sold in Kentucky markets only. Dixon's ability to source high quality barrels (along with the limited distribution) led to the rejuvenated brands success; it quickly developed a cult following and gained massive attention within online bourbon markets. Success, however, never goes unnoticed; the Kentucy Owl brand was purchased by the Stoli Group (major vodka producer) in January 2017. Released in Fall 2017, this is the first ever Kentucky Owl Rye. While we know it is a Straight Kentucky whiskey, we can only speculate on the actual distiller. ​​Nose: A floral bouquet packed with vibrant spices, barrel char, and sweet undertones. The depth to this whiskey is incredible; every passing minute allows additional flavors to distinguish themselves and form a fantastic, evolving aroma. ​Taste: Chewy mouthfeel with waves of baking spices splashing onto the palate: black pepper, cinnamon, and clove. A sugary sweetness sparks before being overshadowed by mint leaves, green tea, and wood. ​Finish: A mouthwatering heats fades slowly with floral spices and toasted oak. 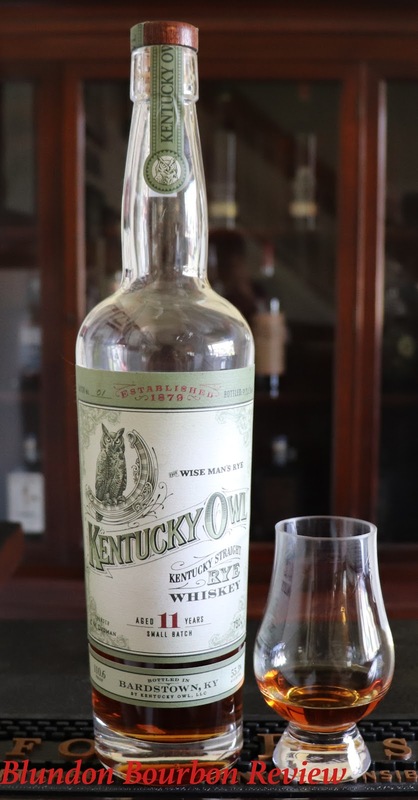 Conclusion: I've fallen in love with this Kentucky Owl Rye Whiskey. There are so many flavors to appreciate and unpack; the depth is second to none. At 110 proof, it's extremely smooth yet deliciously bold. Yes I'm frustrated not knowing who distilled it, but Kentucky Owl Rye is not a bottle you want to ignore.